With more people using more devices to access information via websites, mobile apps, social, video and tv, applications are under intense pressure to handle more transactions per second (TPS) and terabytes of data in real-time. But how much time is real-time? How many transactions per second (TPS) do applications really need? How do you balance price/performance with tiered storage - DRAM, flash and spinning disks - for gigabytes, terabytes and petabytes of data? When do you scale up and how do you scale out? This webcast will describe a number of real-time big data driven applications, emerging data management architectures and the increasing need for applications to handle mixed read/write workloads as well as transactions and analytics on "hot" data. Brian Bulkowski, founder & CTO of Aerospike has 20-plus years experience designing, developing and tuning networking systems and high-performance Web-scale infrastructures. 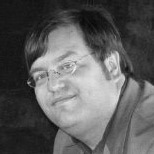 He founded Aerospike after learning first hand, the scaling limitations of sharded MySQL systems at Aggregate Knowledge. As director of performance at this media intelligence SaaS company, Brian led the team in building and operating a clustered recommendation engine. Prior to Aggregate Knowledge, Brian was a founding member of the digital TV team at Navio Communications and chief architect of Cable Solutions at Liberate Technologies where he built the high-performance embedded networking stack and the Internet-scale broadcast server infrastructure. Before Liberate, Brian was a lead engineer at Novell, where he was responsible for the AppleTalk stack for Netware 3 and 4.